Recently a Chicago news station was caught with their proverbial pants around their ankles when a segment meant to showcase an iPhone app only managed to showcase the owner of the phone’s naughty browsing habits. Don’t get caught with your proverbial (or actual) pants around your ankles. 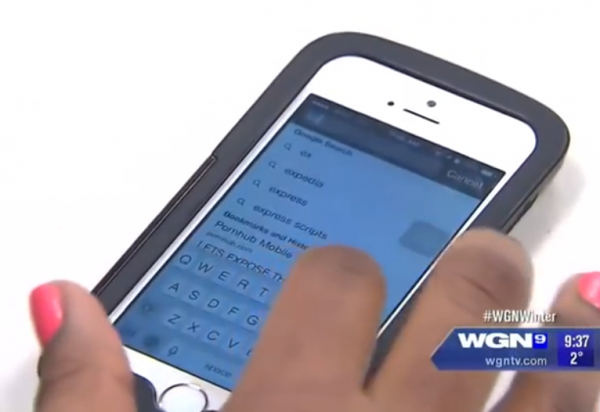 Recently a Chicago news station was caught with their proverbial pants around their ankles when a segment meant to showcase an iPhone app only managed to showcase the owner of the phone’s naughty browsing habits. Don’t get caught with your proverbial (or actual) pants around your ankles. Clear your iPhone’s browser history. The process will differ depending on your browser of choice, but here we will cover methods for iOS’ default browser Safari as well as Google’s popular alternative Chrome. It’s probably safe to assume the majority of iPhone and iPad owners use Apple’s Safari as their main mobile browser. As the default in iOS, chances are even if you prefer a different browser that links from other applications have opened in Safari, creating a history log and storing other data. 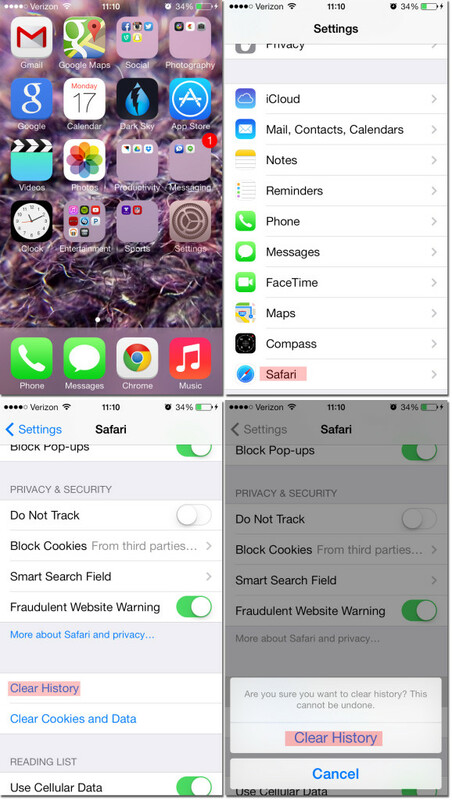 Clearing these items can be accomplished in a straightforward matter through your iPhone or iPad’s settings. When prompted to confirm your selection, tap Clear History again. Chrome, Google’s web browser, is available as an alternative to Safari on iOS devices. While it can’t be set as the default application to handle web content, many of Google’s other iOS apps are integrated directly with Chrome. 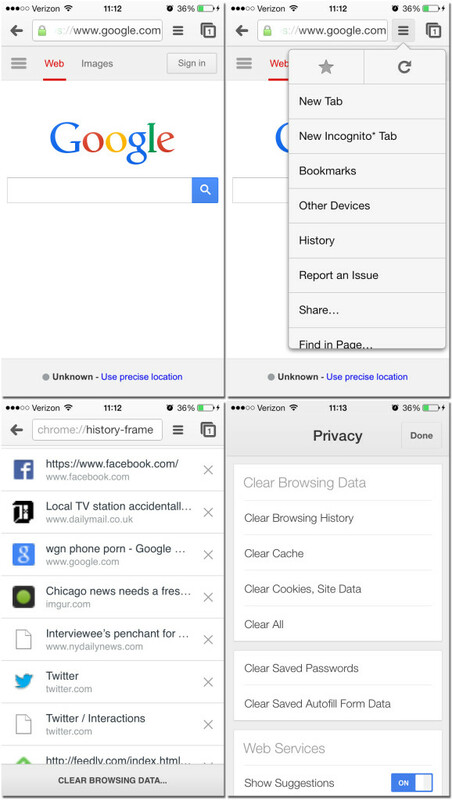 Clearing history and cookies is no more difficult than Safari, however, if Chrome happens to be your primary browser. To simultaneously clear all browsing data, select Clear All. Note: If Chrome is connected to your Google account, browsing data from all linked devices will be visible. Even if you didn’t visit a particular site on your phone, it could still appear in mobile browsing data. Pro tip: For instances where you do not want browsing data to be recorded, you can enter Chrome’s incognito mode. Do so by opening the menu and selecting New Incognito Tab. The above steps are easy and can be accomplished in a matter of seconds, but remembering to do so after having a little personal time with your handset is up to you. Oh, you just want to clear your browser history to free up a few precious megabytes worth of storage space? Sure, we believe you. Don’t worry, we’re not judging.